Having turned out for La Rochelle and Bourgoin, Pierre signed for Clermont Auvergne in 2008 after five seasons with their Top 14 rivals. Pierre spent his final season in Bourgoin as the side's captain. Pierre was a key figure in Clermont's 2010 Top 14 win. He made his debut for the national side in 2007 against the All Blacks and had to wait three years before his next appearance for the national side. However - having been a key part of the 2010 French Grand Slam winning side, Pierre has been a constant presence in the French side and started all five of their games during the 2011 Six Nations. 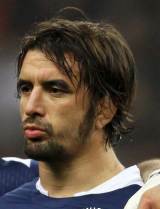 Pierre featured in all seven of France's games during the 2011 World Cup but only made one substitute outing during the 2012 Six Nations.